If you’re looking for ways to improve digestion, you’re certainly not alone. Digestive problems are one of the top health concerns today for various reasons. And if you’ve ever had digestive problems yourself, you know how difficult they can be to overcome because the reasons that they occur are not always easy to figure out. If you’re looking to improve your digestion, here are 10 tips you can do right at home. While they are not necessarily a proper substitution for medical care, they might help you get some relief from symptoms and help reset your digestive system to prevent you from having to take medications. You’ll want to cut out all major food allergens to eliminate any possible triggers of your digestive problems. If your body is sensitive or allergic to a food, it can trigger a number of reactions in your digestive system and immune system that lead to the issues you may be suffering from. 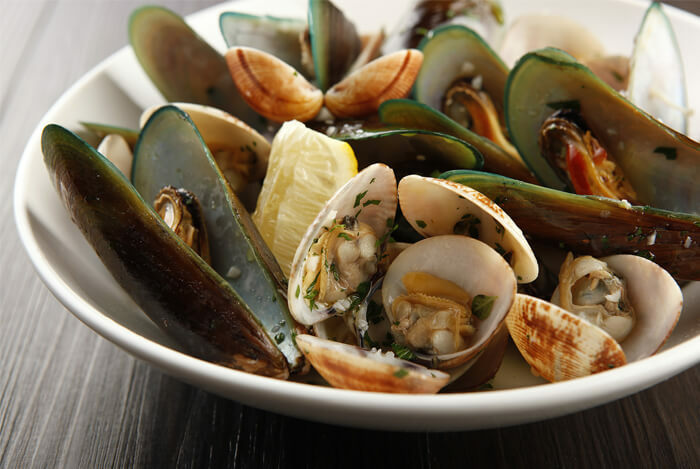 Now, remember that food allergens aren’t all that common, but if you’re consistently having digestive issues, these may be worth thinking about. While many of these foods have multiple health benefits, it’s in your best interest to lay off them for the next few days. This will give your body a break from the most potentially allergenic foods and help you digest the foods you will be eating much better. They also provide enough fiber to feed the good bacteria in your digestive tract without overloading the system. 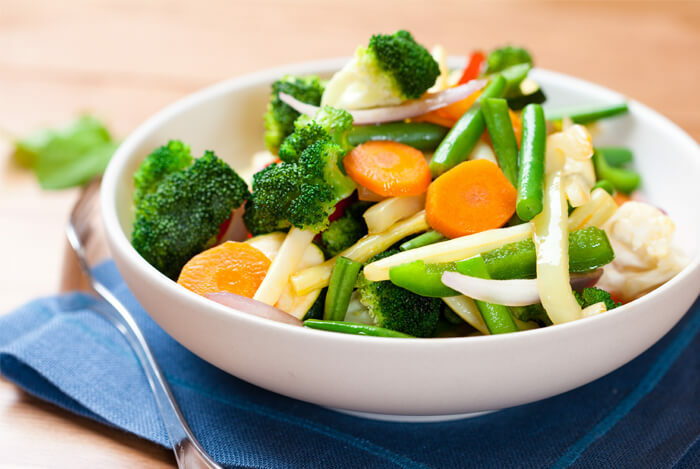 Cooked vegetables like carrots, zucchini, sweet potatoes, gold potatoes, acorn squash and butternut squash are all great options. You’ll also want to be sure to include some cooked leafy greens such as kale, collards, and spinach. Make salads with romaine and spinach, and use the cooked greens in soups and stews. These foods are especially nourishing to the body and provide fiber to keep you full. 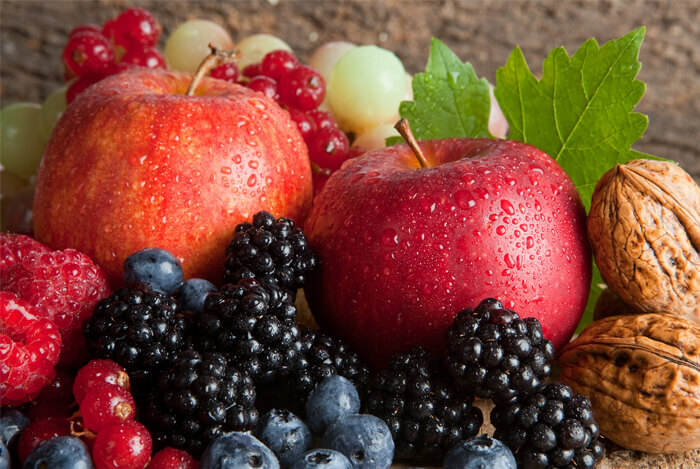 Berries and apples are very low on the glycemic index and provide certain types of fibers that keep you regular as well as feed the good bacteria in your digestive tract. Green apples even have properties in them that have been shown to eliminate acidity in the body. Berries are also fantastic for fighting bad bacteria due to the antioxidant content. So enjoy some berries or apples in a smoothie, bowl of oatmeal, or have them as a snack or dessert. To help improve digestion and relieve constipation and diarrhea since it’s a great source of easy-to-digest fiber, just be sure to consume it ground and not whole. Take one tablespoon of ground flaxseed daily. You can add it to oatmeal or make a smoothie with it. It will provide your body with omega-3 fatty acids that you need for overall health and give you just enough fiber to keep things moving if the foods above aren’t doing it for you. 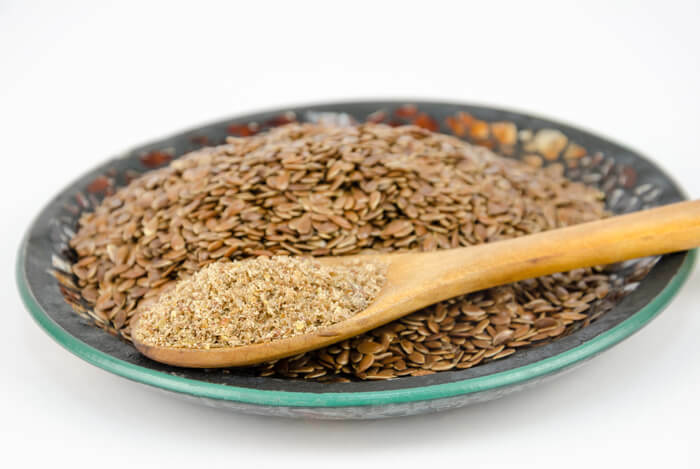 Flax is also a great way to take in your essential fatty acids each day, so purchase some and make it a regular part of your routine. You’ll also want to be sure you get enough sleep. Sleep improves your digestion by regulating hormones that affect the gut. Aim to get at least 8 hours of sleep per night and have 3 meals a day to start. When it comes to high-fat foods like chocolate, chips, butter, oil and nuts, avoid those for now since we’re giving your body a break. These tips can be used anytime you have a flair with your digestive issues or want to weed out potential allergens in your diet. What’s your take on improving digestion? Have anything else you’d like to share? Let me know in the comments below!